Nancy Tobin left Radcliffe College in 1949, an honors graduate in philosophy with a voracious mind and a piercing intellect. She became a legal secretary, a mother, and a homemaker in Woonsocket, R.I.
"I felt quite unfulfilled, especially after my children were in school, as a stay-at-home wife, despite my significant volunteer activities," she later wrote. "And yet, unlike many women in my community, I had no sense of accomplishment from the derived status I was awarded due to my husband's success." Divorcing about 30 years ago, she spent 16 years at Wellesley College as a career adviser and mentor and then became part of the Committee for the Equality of Women at Harvard. As a professional and volunteer, she helped guide women in subsequent generations to follow fulfilling paths in life. Even after Ms. Tobin retired 15 years ago, "she remained a deeply trusted adviser and a mentor with impeccable intellectual and ethical standards," said Ellie Perkins, director of fellowship programs at Wellesley. 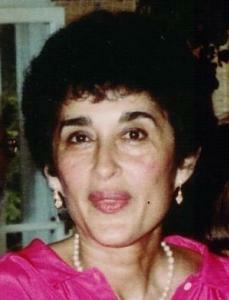 Ms. Tobin died of complications from leukemia on Aug. 7 in the Tippett Home for hospice care in Needham. She was 79 and had lived in Wellesley Hills. "When it came to social justice, if she felt you weren't on the right side, her patience was minimal, to say the least," said her son, Mitchell of Park Ridge, Ill. "Her integrity was truly a beacon for others. You could always depend on my mom to tell you what was right or wrong and count on what she said, because she lived her life with such integrity." Although she focused on gender bias at Harvard in recent years, Ms. Tobin kept an eye on all the world's social ills and was never single-minded, friends and family said. "That was the other nice thing about her: She took Harvard's measure and knew it wasn't the world," said Jane O'Reilly, who served with Ms. Tobin on the equality committee, a Radcliffe alumnae group founded in 1988 that advocates for more tenured female faculty at Harvard and equity for all women at the university. "There were larger battles." "Her loathing for Richard Nixon had no bounds," her son said, "and I guess I can take that through Reagan and the second Bush, not so much the first." In her Radcliffe 50th reunion report, Ms. Tobin wrote in 1999 that she "never regretted my choice of philosophy as a major. I still wrestle with some of the issues I first thought about 50 years ago, and the kind of analysis and critical thinking philosophy encourages has influenced me throughout my life." Bentley Tobin, whom she married, graduated from Harvard Law School the same year she finished at Radcliffe. As he became a lawyer, she became a legal secretary, writing later that she "accepted without question my second-class role in the labor force." They remained friends after divorcing in the 1970s. Leaving Woonsocket for the Boston area, she stepped from being a homemaker in a small city into a professional life in an urban area, and that better satisfied her intellectual and cultural appetites. A passion for jazz led her to venues throughout the city. "My mom didn't play jazz, and she certainly wasn't a groupie - that's for sure," her son said. "But just going to gigs and talking with musicians, she ended up developing a lot of in-depth friendships." Javon Jackson, a saxophonist Ms. Tobin befriended when he was a student at the Berklee College of Music, said, "When she came out to see musicians, she knew what she was going to see." They fell into a family relationship, meeting for lunch or dinner whenever performed in Boston. "She was just an unbelievable person; the words really don't do her justice," Jackson said, adding that her intellectual range meant that "it was very rare for anybody such as myself to get on the phone with Nancy and have a two-minute conversation. It was absolutely impossible." The expansive list of friends hailing from jazz clubs to the halls of academia was part of the legacy Ms. Tobin left, said her daughter, Patty, of Brooklyn, N.Y.
"In terms of being in her company, by extension my extended family now will include a number of her friends, who are truly responsive, warm, and talented human beings," her daughter said. "Her life continues to enrich my life through the friendships she made and the very diverse circles she traveled in." Still, one issue held a particular allure for Ms. Tobin, perhaps because it spoke to the arc of her own life. "My main interest over the past 35 years has been equity for women in the workplace, in universities, and the needs of balancing work/family issues so that women can fulfill their potential in all areas of endeavor," she wrote to her children in July. With the Committee for the Equality of Women at Harvard, Ms. Tobin was the chief researcher. Eschewing a desktop computer at home, she used a program that worked through her television set. "With that she rummaged through the archives of knowledge," said Jane O'Reilly, who has served on the group's steering committee. "Her impact on the committee was just enormous," said Lilli Hornig, another member of the group. "I have always been impressed by the breadth of her knowledge and her excellent judgment." At Ms. Tobin's request, small memorial gatherings of friends were held, rather than a large service. O'Reilly, however, said she plans her own tribute, a trip to this month's ceremony celebrating the installation of the first woman to lead Harvard University. "In her memory, I'm going to attend the inauguration of Drew Faust," O'Reilly said. "I'm going to see if the buildings fall down when a woman becomes president of Harvard." In addition to her son and daughter, Ms. Tobin leaves a sister, Joan Godfrey of Dedham.